Dar Summerray Location. 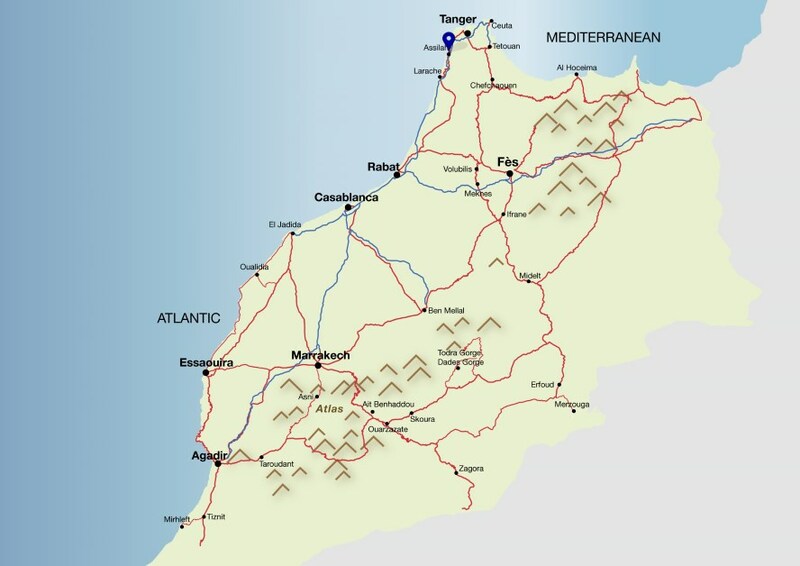 Book Dar Summerray Today with Hip Morocco - Holiday Accommodation in Tangier, Assilah & Chefchaouen, Morocco. 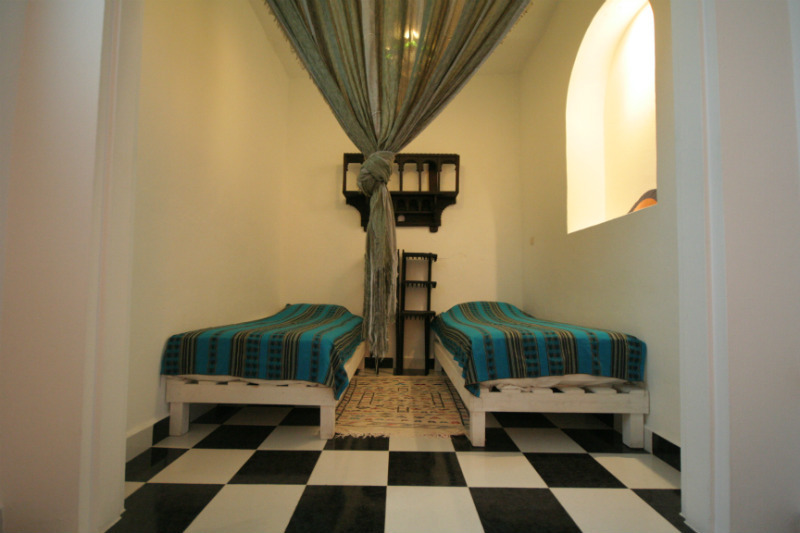 "Homely Mediterranean seaside villa style"
Assilah: A simple yet fresh and complete Riad in Assilah. 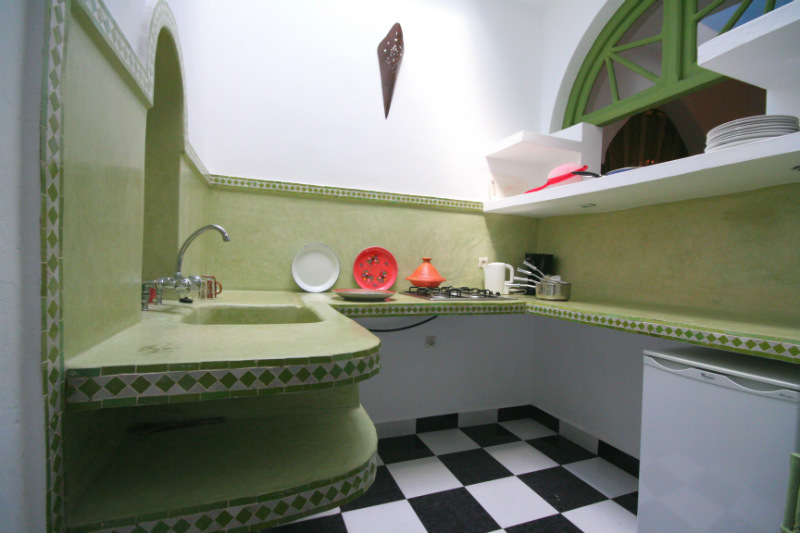 Riad Summerray is the sister property to Dar Azaouia with self catering facilities and basic seaside furnishings. 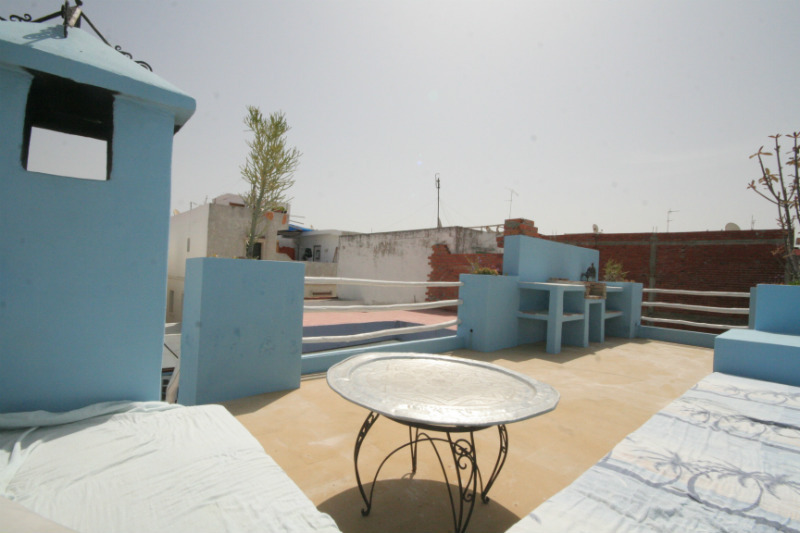 Perfectly suited for a group holiday in Morocco, Riad Summerray has all that guest could need for a stay in Morocco to bring people together. 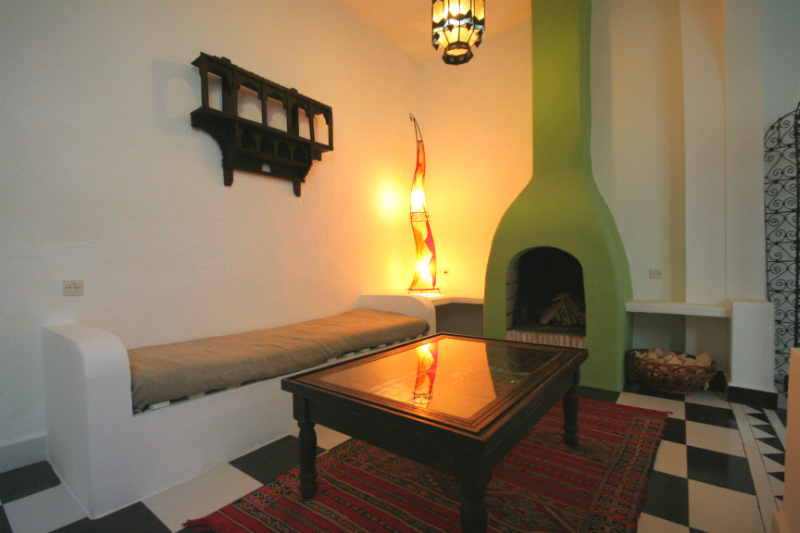 Riad Summerray has 3 bedrooms, two twin and 1 double, simply decorated but in a welcoming and homely atmosphere. 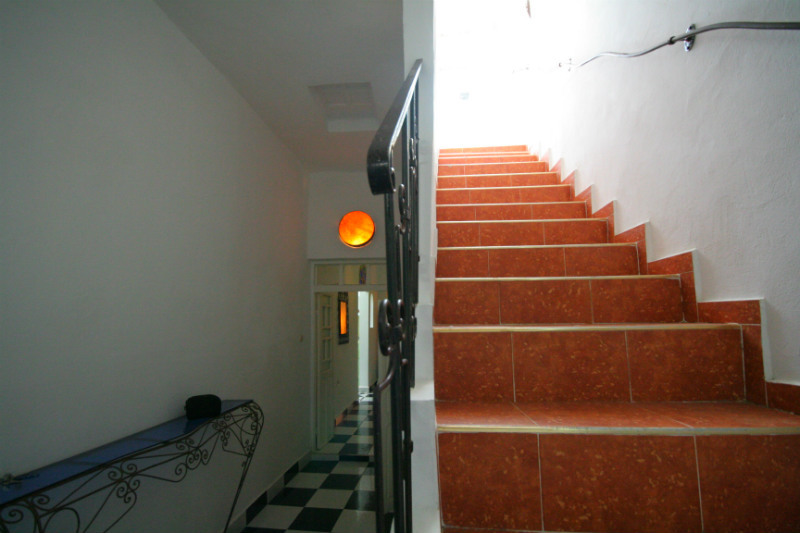 There is a shared bathroom on the 1st floor and separate w.c on the ground floor, more suited for close friends of family on your stay in Assilah. 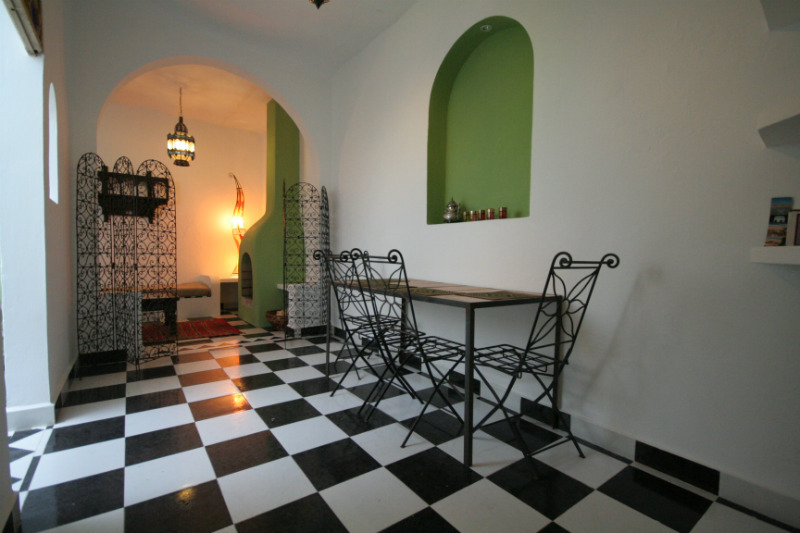 Breakfast can be taken in Riad Summerray or at Dar Azaouia, located only a very short walk away. 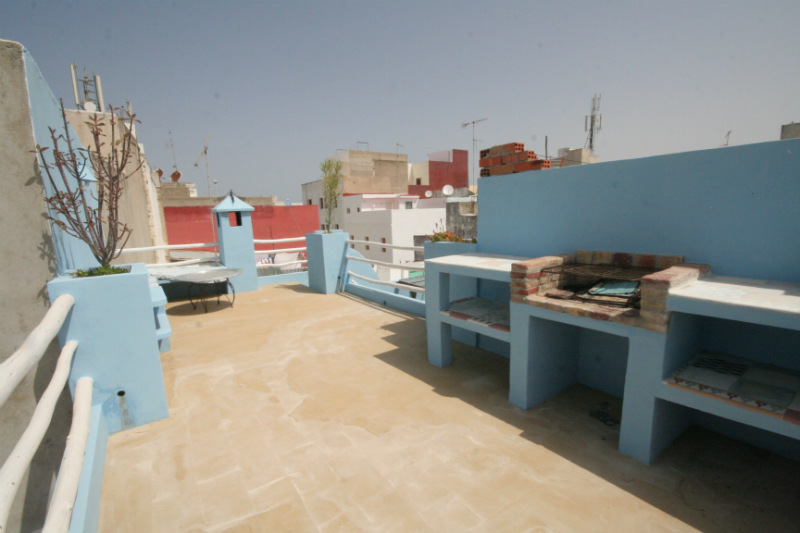 The roof terrace has a BBQ and L shaped bench seating area, and is decorated in a local blue and white style. Owned by the German, Moroccan couple of Dar Azaouia, guests of Dar Summerray are welcomed to dine at the former property. Owner Caroline offers a range of home cooked cuisine from an international culinary careers experience, with special emphasis on Oriental dishes. A well presented and homely restaurant in Asilah, La Perle is presented in the style of a Parisian bistro with a range of inventive French dishes and escargots. Located in Riad Al Alba, Restaurante Al Alba offers guests a well thought out menu of contemporary Moroccan dishes beautifully cooked and presented. 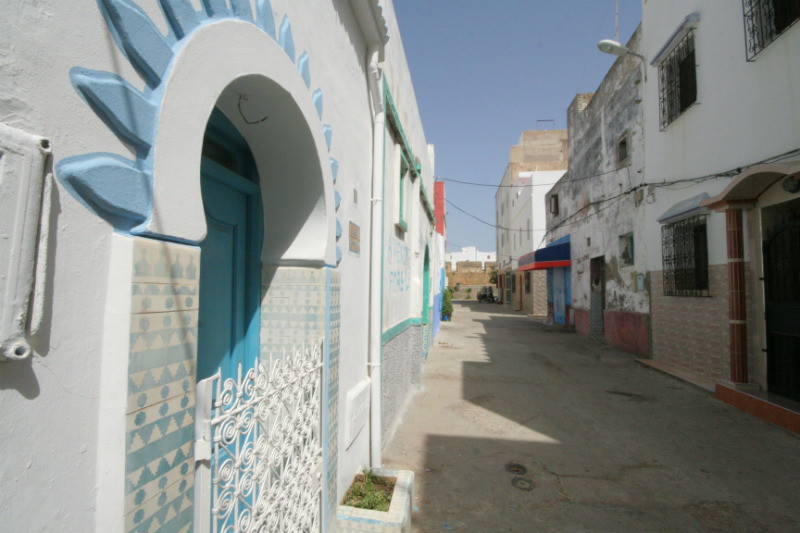 In an intimate European/ Moroccan decor, Restaurante Al Alba is a perfect restaurant in Asilah for a romantic getaway along the coast. 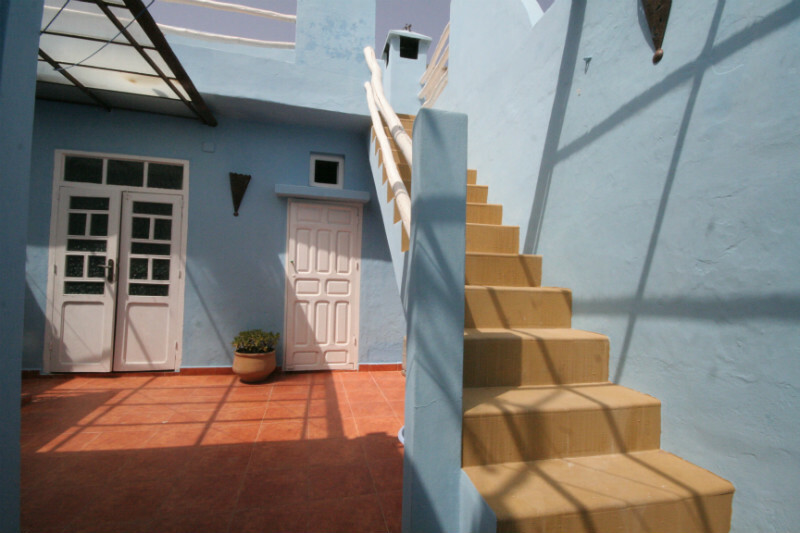 Situated in the old Jewish quarter of Assilah, Dar Summerray is a 2 minute walk from the main cafes and centre of Assilah and the ancient walled medina. The seafront promenade and port are a 5 minute walk and 10 to the sandy beach. The ground floor twin room is separated from the communal salon by a long draped curtain and has 2 single beds. This room at Dar Summerray is simply furnished but has a very fresh feel to it, with white walls and coastal wood style white bedframes. 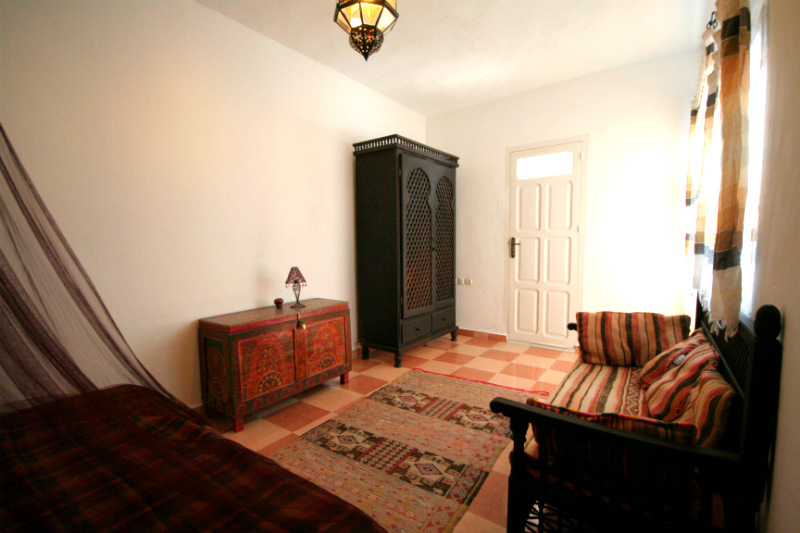 This room shares a bathroom on the 1st floor with the other 2 bedrooms which has a large shower and decorated in traditional Moroccan zelig tiling. There is a separate w.c located on the ground floor. The 1st floor double is the largest of the rooms at Dar Summerray. This room has a double bed covered by a decorative red/purple net and intimate lighting. 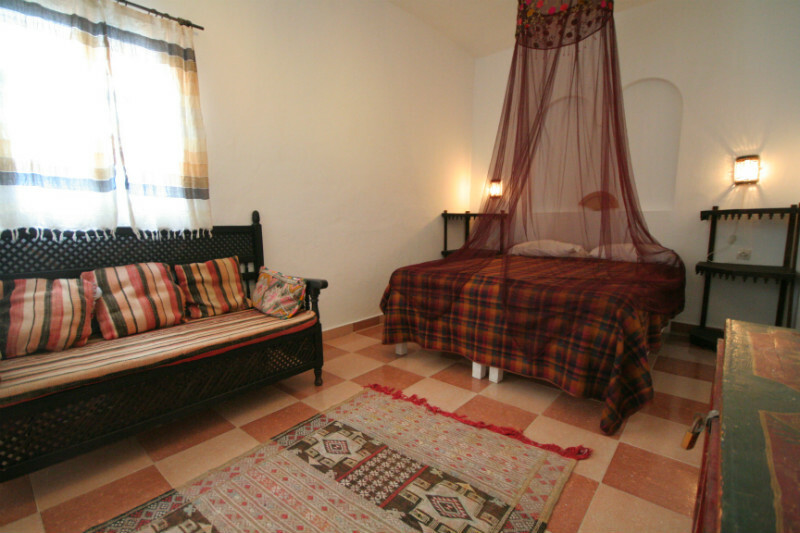 Perfectly suited for an affordable romantic getaway in Morocco. 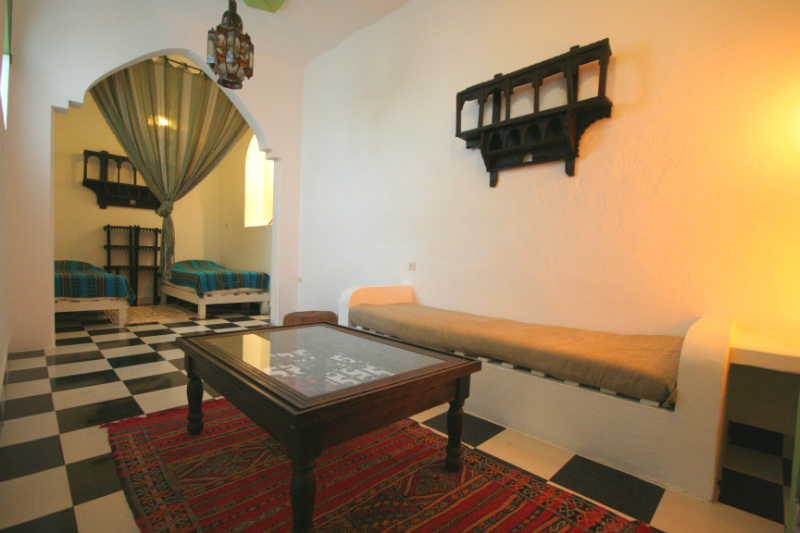 The room has a salon with long Moroccan bench and a ornate wooden chest. 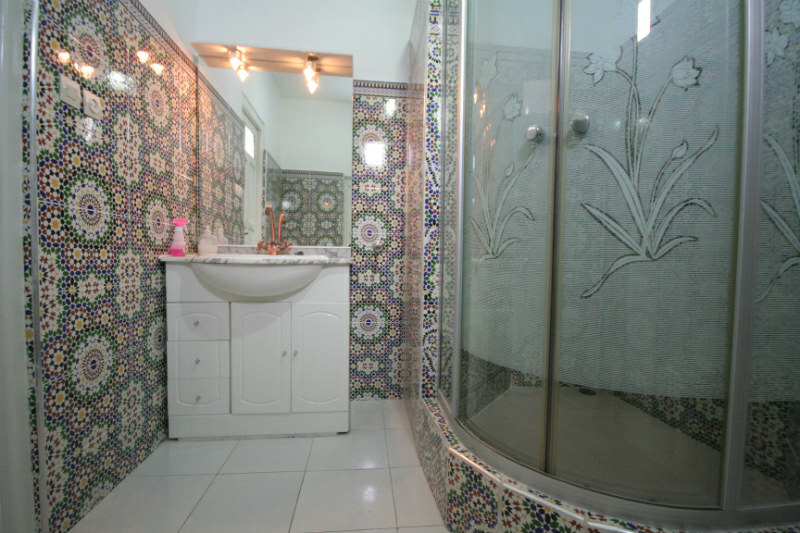 This room shares its ensuite bathroom on the 1st floor with the other 2 bedrooms, which has been decorated in mesmerizing Moroccan zelig tiling. The bathroom has a large shower. 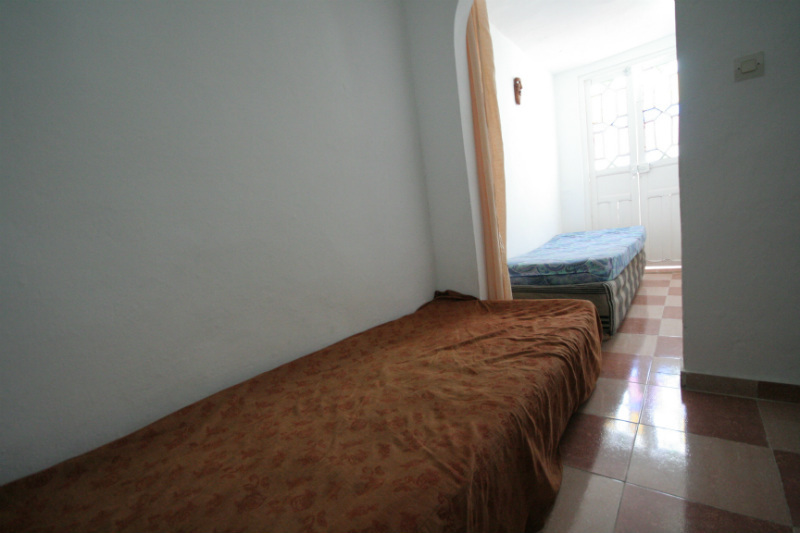 The 1st floor twin is a simple room with 2 single beds separated by an arched doorway. There is a shelf for storage in this cosy room, perfectly suited for children or 2 close friends. 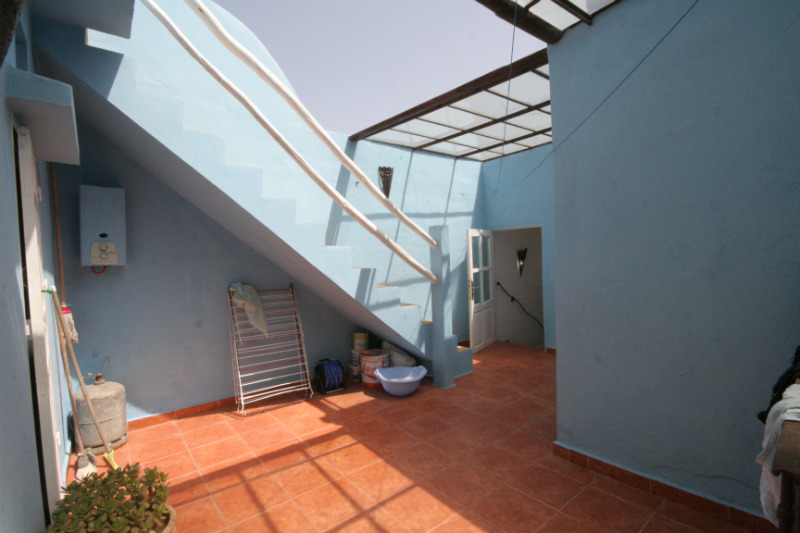 The base rate price at Dar Summerray is in pounds, euros, or Moroccan dirhams and exchange rates are approximate.